Four editions, an ever growing event, more than Italian and foreign 60 agencies competing with us, over 500 artworks and about 300 brands competing for the award. 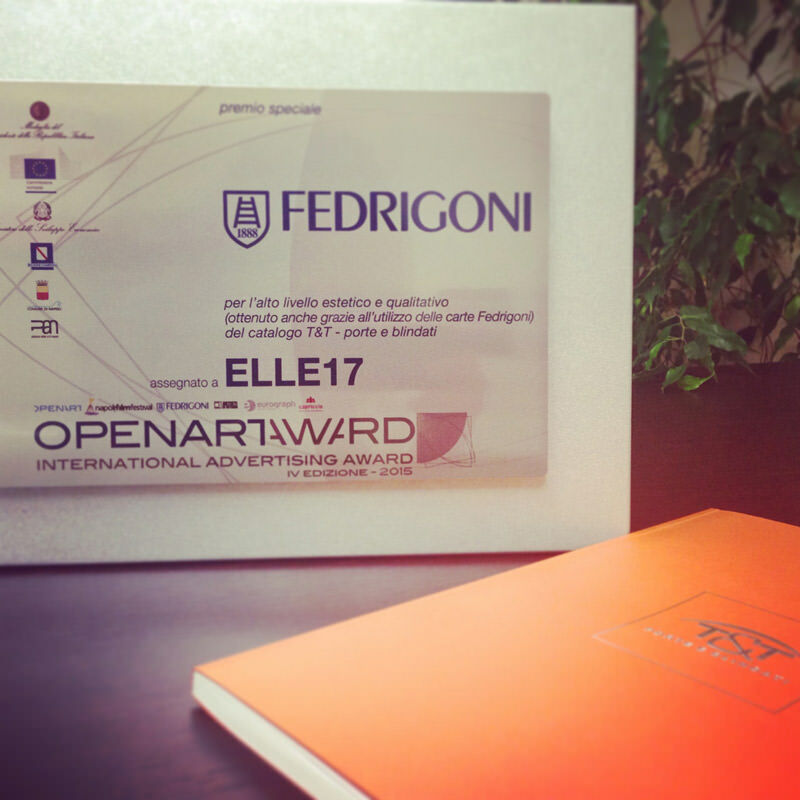 Victories and defeats were decided by the students of the Naples OpenArt Institute, who were assisted in the designation of so-called "special prizes" by other major companies, not least "Fedrigoni", who were ‘guilty’ of declaring us the winners of the "Special Sponsor Award" category for a catalogue produced for the doors and security doors division of our customer, "T&T di Gianni Torcasio". Honoured and appreciated for its "high quality and aesthetic levels," our goal was the communication of safety and beauty. That is why nothing was left to chance. The cover, made of a special paper by Fedrigoni (Sirio Pearl Orange Glow) was reminiscent of the corporate brand’s colour. The dry embossed and hot-stamped polished silver foil logo added to its worth. The inside was made using FSC-certified special ecological paper.